The loveable full-time priest and part-time detective, Canon Sidney Chambers, continues his sleuthing adventures in 1960's Cambridge. On a snowy Thursday morning in Lent 1964, a stranger seeks sanctuary in Grantchester's church, convinced he has murdered his wife. Sidney and his wife Hildegard go for a shooting weekend in the country and find their hostess has a sinister burn on her neck. Sidney's friend Amanda receives poison pen letters when at last she appears to be approaching matrimony. A firm of removal men 'accidentally' drop a Steinway piano on a musician's head outside a Cambridge college. During a cricket match, a group of schoolboys blow up their school Science Block. 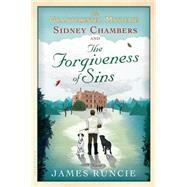 On a family holiday in Florence, Sidney is accused of the theft of a priceless painting. Meanwhile, on the home front, Sidney's new curate Malcolm seems set to become rather irritatingly popular with the parish; his baby girl Anna learns to walk and talk; Hildegard longs to get an au pair and Sidney is offered a promotion. Entertaining, suspenseful, thoughtful, moving and deeply humane, these six new stories are bound to delight the clerical detective's many fans.